What exactly is ‘Open the Now’? That’s what I heard everyone asking. 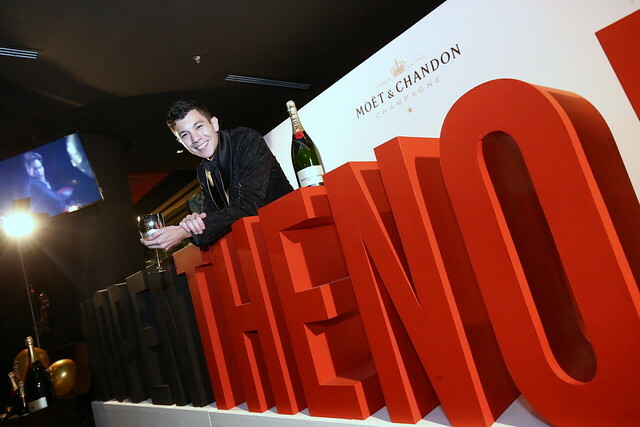 Well it was explained to us, at Moët & Chandon’s launch party at Ruyi & Lyn in Bangsar Shopping Centre just the other week. “The Now” is actually and experience and a moment, where every is encouraged to seize the day.. carpe diem if you like. 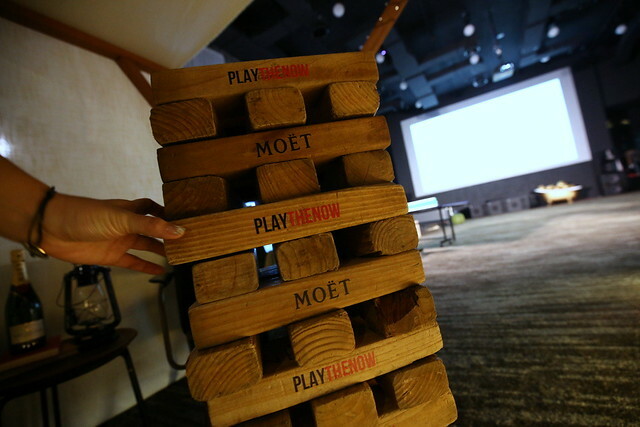 And in “the now”, every second is an experience, and every experience is a MOET moment in the making. 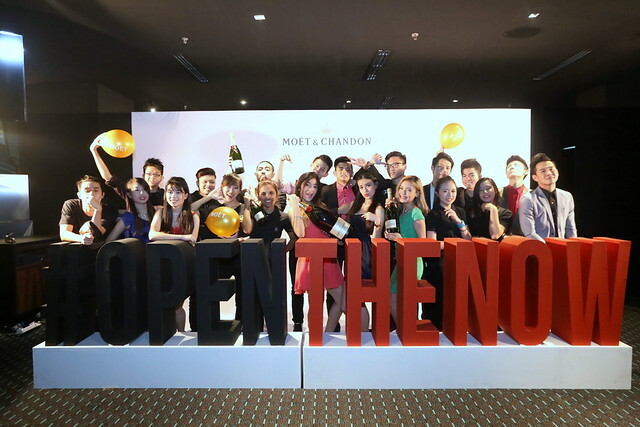 The launch of Moët & Chandon #OpenTheNow party was a fun night out, with Moët & Chandon taking center stage. We were happy to be a part of this momentus occasion. 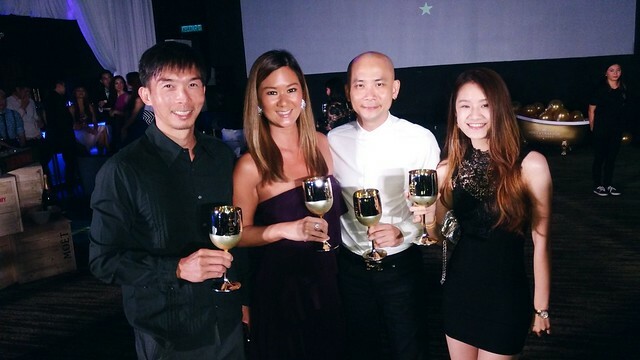 Ruyi & Lyn in Bangsar Shopping Centre was transformed to look rather glam.. and “in the now”. Upon arrival, guests were greeted in an intimate reception area decorated with Moët & Chandon Impérial Magnum bottles – you can grow muscles lifting these bottles, I tell you. 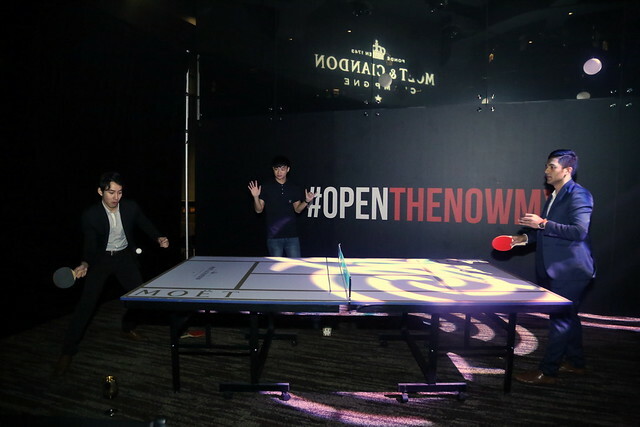 The scene at the #OpenTheNow party was lavishly decorated – a huge bell tent, tons of Moët & Chandon printed throw pillows, cozy blankets, camping tables made of Moët & Chandon wooden crates with fancy sofa chairs, and my favorite of the night, drinking from golden goblets. What a classy touch. flash-mob – THE NOW asa modern reinvention of carpe diem. 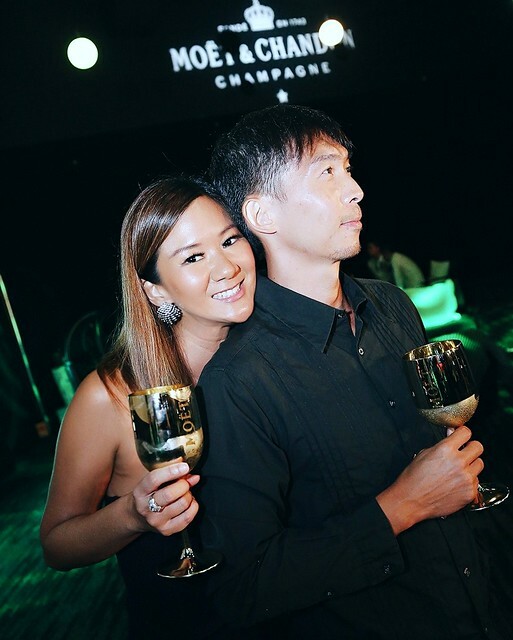 And somewhere in between, all that merry making, and living in the moment, Will Quah explained rather succinctly, the meaning of THE NOW, as he does, and the rest of us enjoyed dancing the night away, bringing the lovely evening to an energetic close. Wasn’t bad at all LOL 😀 Can’t go wrong with golden goblets and bubbly!